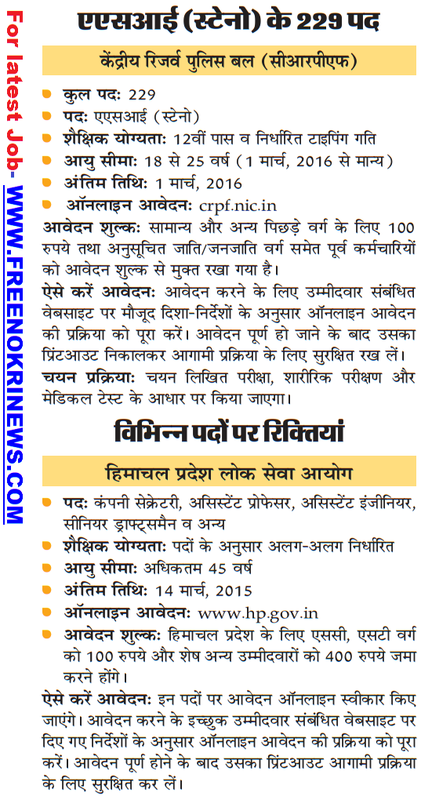 Application Fee 100/-.No fee for SC/ST candidates.Fee can be paid by Indian Postal Order or Demand Draft. Pension Scheme : New contributory pension scheme will be applicable to all selected candidates. There are 35 Application receiving Centres in India. Physical Standard : Height-165 CMs ,Chest : Unexpanded - 77 Cms and Expanded - 82 Cms. Physical Standard for Female candidates : Height-155 cms.